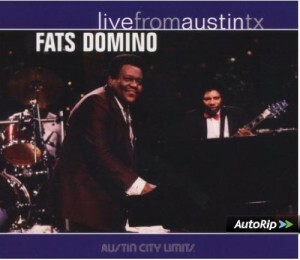 Live From Austin, Texas is a live album and DVD by Fats Domino. It’s good to see that the same songs are on the CD and DVD. Is it the best live album by [group]? Which do you recommend? Please vote in the poll to find the best early R&B and rock & roll live albums. This entry was posted in 1980s Live Albums, Rock n Roll and Early RnB Live Albums and tagged 1986 live albums, Fats Domino Live Albums by Paul Simister. Bookmark the permalink.